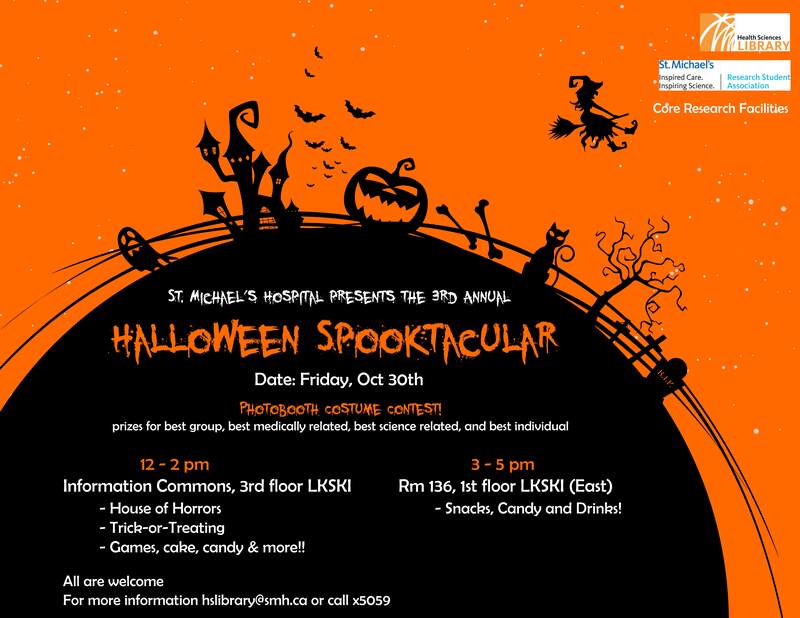 The Halloween Spooktacular is coming! 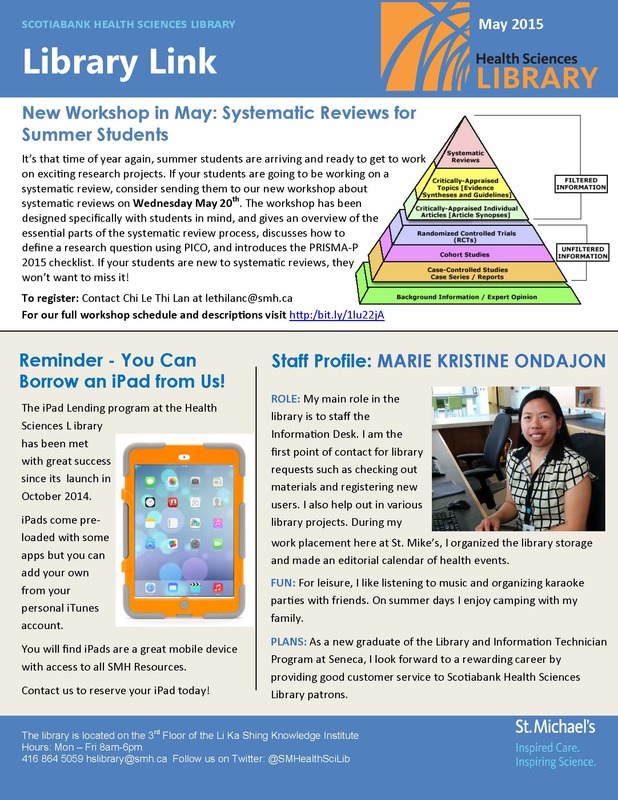 2) We have iPads for you! 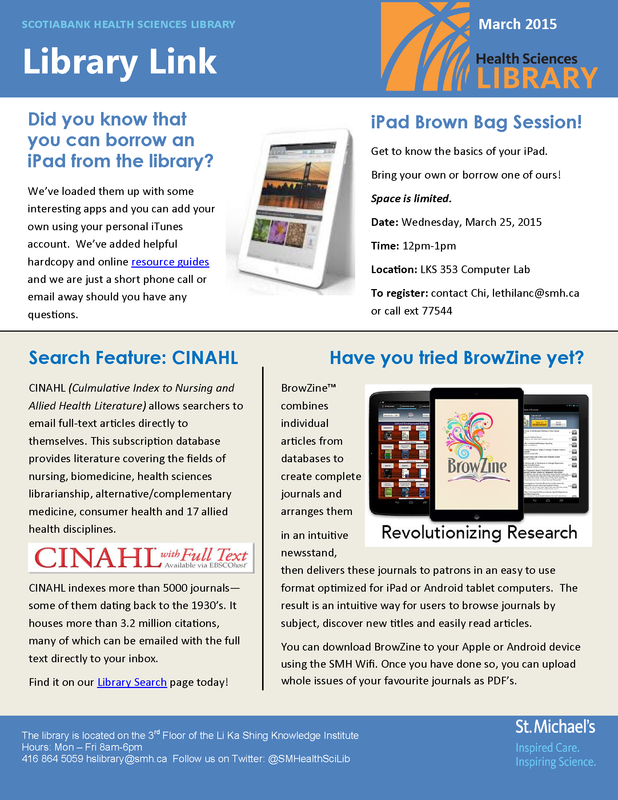 Have you tried BrowZine yet? 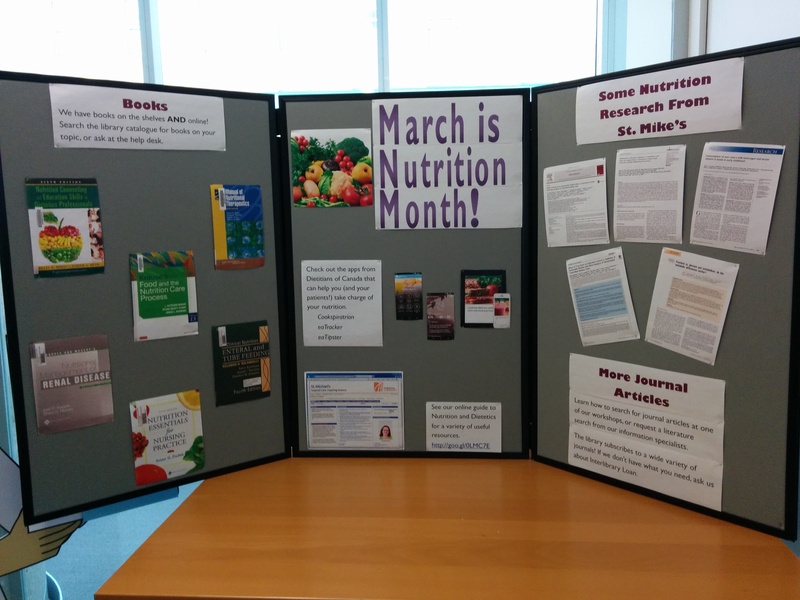 We all need to eat, and March is the month to celebrate nutrition and the great work our dietitians do to help us stay healthy. Need some information about nutrition and dietetics? Check out our display for some ideas of where to start. 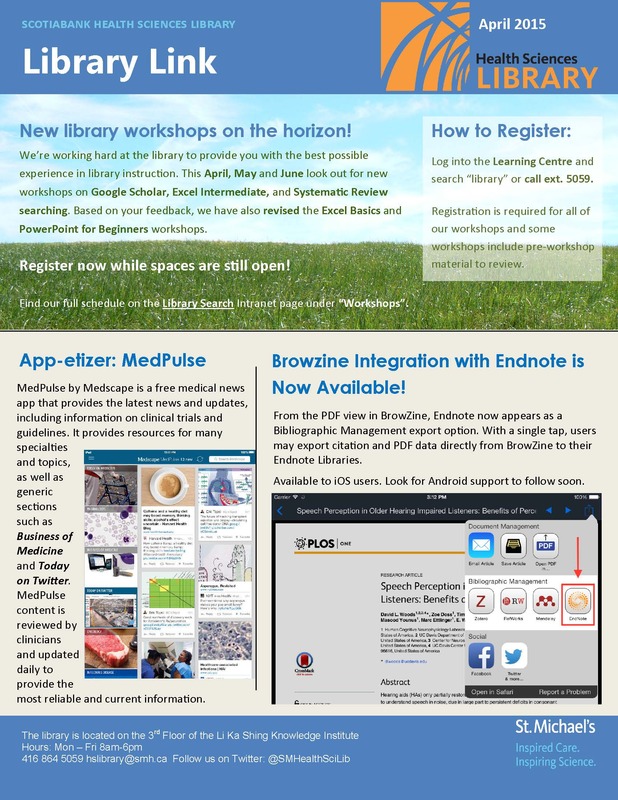 Even better, check out our online guide! 1. Minister Holder Announces New Open Access Policy for Research [press release]. February 27, 2015.